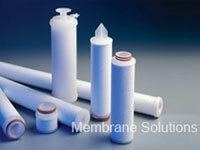 MS® Cartridge filters are simply quality filters, well packaged, and offered at a fair and competitive price. 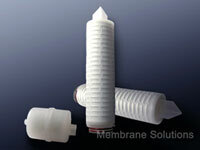 The Classic range is available in all of the major membranes including PP, PTFE, PES, MCE, Nylon and PVDF which comes in various sizes for filtration volumes of a few liters to several hundred thousand liters. MS® Cartridge filters are specially designed and developed for bioburden reduction and sterilization of liquids in SVP, LVP, Sterile API, Fermentation, and Vaccine manufacture.